For many people all over the world, a visit to the Louvre is a major bucket list item during a trip to Paris. The most-visited museum in the world is also one of the largest—the total length of the façade measures nearly two miles—and one of the richest in artistic treasures (the Louvre exhibits 38,000 works and has an additional 422,000 in storage). The museum employs 2,290 staff members, including 65 curators and 145 conservationists. (Keep in mind: 1,200 of those staff members are security guards). The Louvre even has its own squad of 48 firefighters on call 24 hours a day. That’s just the tip of the iceberg. This monumental museum contains many secrets inside its hallowed halls, just waiting to be discovered. The Renaissance king famed for the gorgeous castles in the Loire Valleyactually razed a 12th-century fortress on the right bank to make way for the Louvre palace. Construction began in the mid-1500s, but only part of the building was completed. Every subsequent French king added onto the structure: if you pay attention, you can spot several different architectural styles. One of the most impressive parts is the Colonnade, which was designed by Louis Le Vau, Claude Perrault, and the painter Charles Le Brun, whose handiwork you can admire in the Apollo Gallery. Though the 13th-century fortress built by King Philippe Augustus was destroyed, archeologists excavated the original moat 23 feet below the Cour Carré during construction of the glass pyramid. Today you can peek at it in the medieval part of the Sully wing. Louis XIV was the last king to use the Louvre as a royal residence—he moved his court to Versailles in 1682. In 1793, during the French Revolution, the Musée Central des Arts opened to the public in the Grande Galerie. Napoleon Bonaparte and Napoleon III both added to the Louvre, enhancing their own prestige. It wasn’t until 1993, however, that the whole building was used as a museum for the first time. Many of the French kings were great art collectors and commissioned the most talented architects of the day to contribute to the building, but many of the museum’s greatest works were looted during Napoleon’s campaigns in Italy, Egypt, and beyond. The glass pyramid by American architect I.M. Pei today is seen as a symbol of the Louvre itself, but when it was first revealed in 1989, some critics called it “sacrilegious” to tamper with the architectural integrity of the historic palace. Designed to welcome 4.5 million visitors per year, the Louvre received 8.6 million visitors in 2015. A major construction project is currently working to alleviate the long lines by reconfiguring the entrances and reception areas around the pyramid. The Mona Lisa may be the Louvre’s most famous painting, but many people don’t realize that the museum’s largest painting is actually in the same room. The Wedding Feast at Cana by Venetian Renaissance master Veronese is sometimes mistaken for the Last Supper, but actually depicts Christ’s first miracle of transforming water to wine. 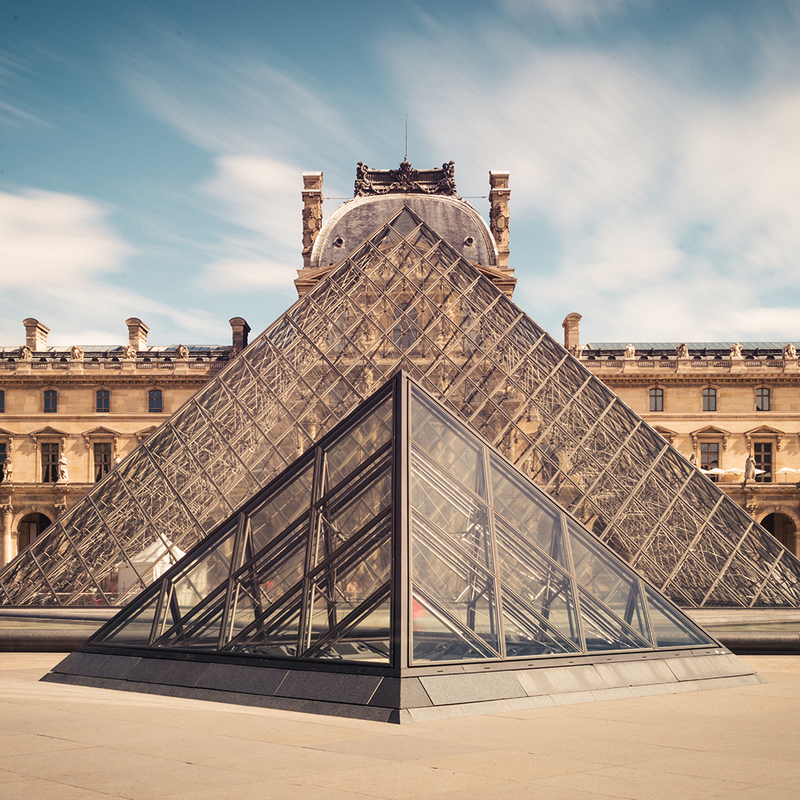 The Louvre has several official routes recommended to help visitors navigate the enormous museum, and the Da Vinci Code inspires one of them. If you embark on this path, you’ll follow in the footsteps of the protagonists Robert Langdon and Sophie Neveu and learn to separate fact from fiction. You can also do a themed scavenger hunt with THATLou. Tucked away in a remote corner of the Richelieu wing, Napoleon III’s drawing room gives visitors a glimpse at what the sumptuous palace looked like when the emperor used it for state functions. To beat the crowds, you can purchase tickets at any FNAC bookstore (the $1.75 surcharge is well worth it) and enter through the Passage Richelieu. Download the museum’s official app ($1.99) for pre-planned paths through the museum and commentary by the curators. You can even plan your own night at the museum—it stays open until 9:45 pm on Wednesdays and Fridays. Even though the museum's collection only includes art made until the 19th century, it's still acquiring works. In fact, the Louvre recently announced a joint acquisition with the Rijksmuseum in Amsterdam of two portraits by Rembrandt—the master painter’s only full-length portraits. They are on view until June 13, 2016 and then will be moved to the Rijksmuseum.